There are few events more catastrophic than a house fire. Not only do you risk losing the home you worked so hard to build, but the risks of a life-altering or fatal injury are high. Your insurance company will fight to keep your money, and your medical bills could cost you everything. 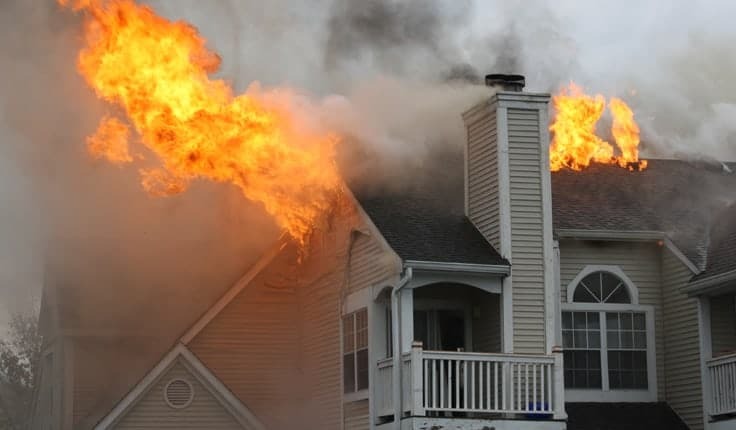 If you have been injured in a house fire, you want a team of Atlanta burn injury attorneys who know how to build a successful case on your behalf. At Harris Lowry Manton LLP, we have fought to uphold the rights of injury victims for years. We have the resources, the experience and the skills to handle complex litigation, and a track record of success handling claims against Fortune 500 companies. When you need help, HLM is here for you. The U.S. Fire Administration compiles data from all 50 states regarding fire losses. In 2014, the most recent year available, Georgia had a greater percent of structure fires than the country: 83.3% to 78.5%. Of those fires, 81.9% were residential. Out of every 1000 residential fires in Georgia, there are 5.6 deaths and 27.3 injuries reported. This is greater than that national average, as well (5.5 and 26.2, respectively). Defective or malfunction products, such as smoke detectors or children’s toys, can lead to a fire or fail to protect you from harm if a fire begins elsewhere. If you sustain a burn injury, or suffer from smoke or soot inhalation, you may be able to make a claim for compensation for your medical bills, lost wages, and pain and suffering. Whether or not someone else is liable for your injuries must be determined on a case-by-case basis. Burn injuries are life-altering, and may require months to heal. Many burn injuries leave permanent scars and often unsightly disfigurement, especially if the face is burned. This can affect your ability to find work in the future – provided you are able to work at all. Georgia law does not require that you purchase homeowners’ insurance (though your mortgage company may have), nor does it require renters’ insurance. If you do not have a policy, you should consider purchasing one today. A fire can cost you everything. However, it is important to note that even if you do have a policy, your insurer may try to lowball your settlement. Insurance companies want to keep your money, not pay it out. They may attempt to delay your claim, force you to use their adjuster, or intentionally act in bad faith. If this is the case, you should seek the help of an experienced attorney immediately. At Harris Lowry Manton LLP, we understand the challenges you face after a fire. Our lawyers demand compensation for your disfigurement and scarring in addition to the costs of the surgery and medical care, the physical pain, the emotional suffering and distress, and any lost income. To speak with one of HLM’s experienced burn injury lawyers, please call us: in Atlanta at 404.998.8847, or in Savannah at 912.417.3774. You can also use our contact form to schedule a free consultation.